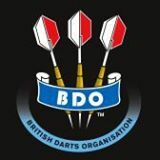 The BDO has announced it is set to remove all restrictions on PDC Tour Card holders with an amendment to rule 4.00 on player eligibility. b. Must not be serving a period of ineligibility imposed by the BDO, the World Darts Federation or any member darts body of the World Darts Federation. The BDO have stated that this decision will serve to ensure that any women looking to enter the upcoming qualifiers into the Ladies Play Offs in the PDC World Championship will be free to participate without affecting their position within the BDO system. The changes will also ensure that BDO players that make the decision to participate in PDC Q-school will no longer face any penalties or repercussions from the BDO. Full BDO Press Release is available here.